Portions of Main Street were submerged Saturday morning after a water main break sent water cascading into downtown Montpelier. It’s the second major water main break for Montpelier in less than a week. Montpelier City Manager Bill Fraser said cold weather is likely to blame. 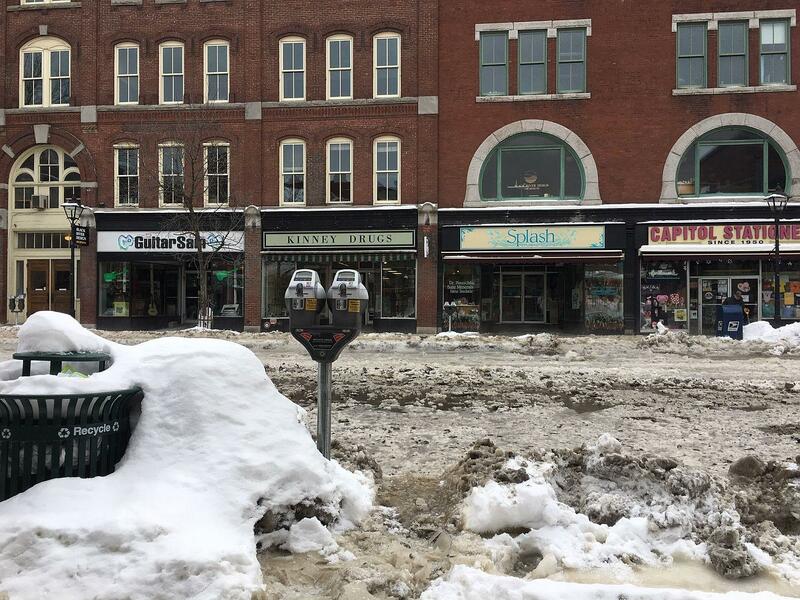 “We believe, we don’t know for sure, but we believe that heavy frost with this cold pushed down into the ground and forced the line to break, and so then the water from that came spilling out down Nelson Street, down Barre Street,” Fraser said Saturday morning. The water eventually pooled in Main Street, where it rose above sidewalks in some areas. Though at least one downtown business had its basement flooded, Fraser said he hadn’t received reports of widespread damage. City officials hadn't received reports of widespread damage Saturday morning, but the city manager says the basement of at least one downtown business was flooded. 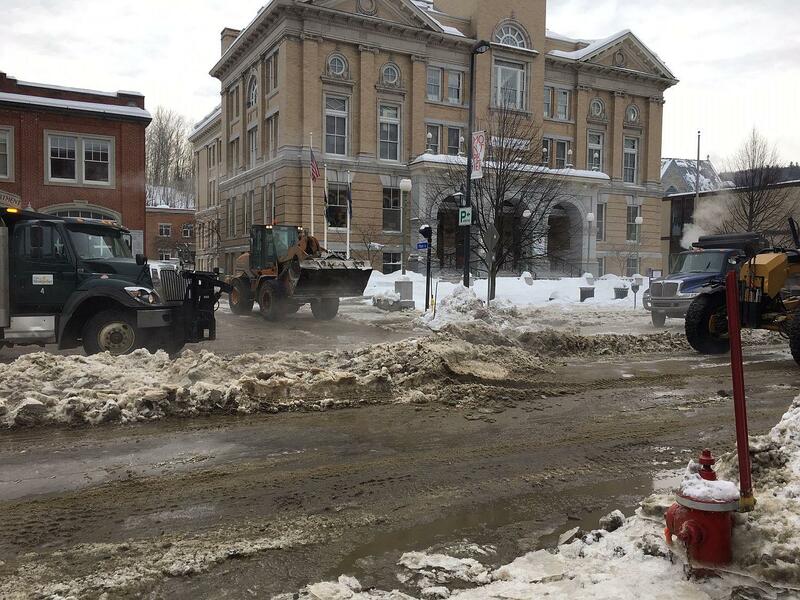 Fraser said city work crews were already on duty doing snow removal when the main broke early Saturday, and were able to cap the leak relatively quickly. Fraser said water service has been restored to most of the city. On Tuesday, a water main break on Elm Street temporarily displaced hundreds of state workers and forced the city to close down a school. While deep frost from the cold weather likely triggered both main breaks, according to Fraser, he said old infrastructure could also be a factor. City officials said work crews would likely have Main Street reopened to traffic by Saturday afternoon. A large crowd gathered on the lawn in front of the Vermont Statehouse in Montpelier on Saturday for a Women’s March rally. The event was held in solidarity with marches around the country, in cities including Washington, D.C., New York and San Francisco.